You and other Californians will soon experience some noticeable pain at the pump. Starting November 1, you’ll pay 12 cents more in taxes for every gallon of gas. 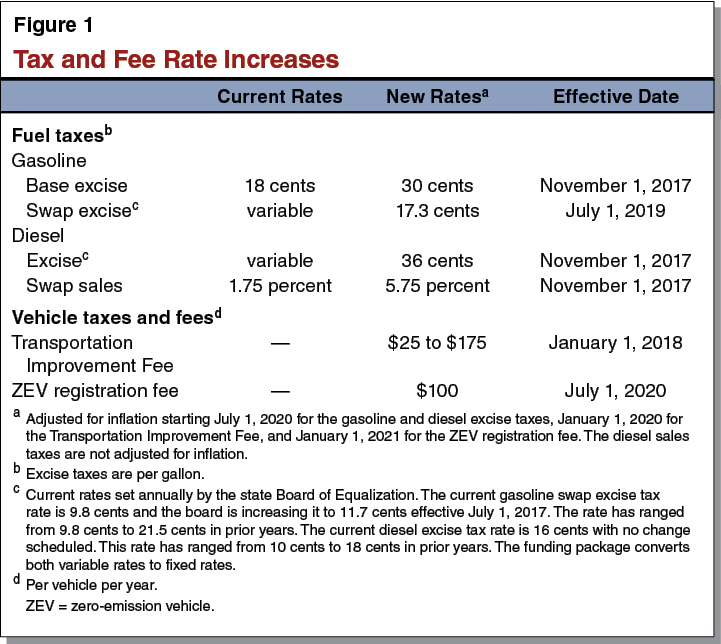 Then, in mid-2019, your gas tax will rise around 7.5 cents, totaling nearly 20 cents in higher taxes for each gallon you pump. If you’re not angry yet, realize that the Democrat politicians have also jacked up your DMV fees. You’ll feel that pain starting in January. The Democrats’ gas tax and DMV fee hike was unnecessary. You already pay high gas taxes and DMV fees for the purpose of maintaining roads. California’s ruling Democrats are lying by saying they don’t have money to repair freeways, highways, and streets. Yes, they do, and they’re grossly misspending your tax dollars. Realize they have money for a state defense fund for illegal aliens, for tax-funded abortions, for the largest welfare caseload in the nation, for the state bureaucracy’s continually growing appetite, and so much more. Do you know there hasn’t been a tough, independent audit in memory of the BILLIONS OF TAX DOLLARS wasted each and every year in Sacramento? 1. 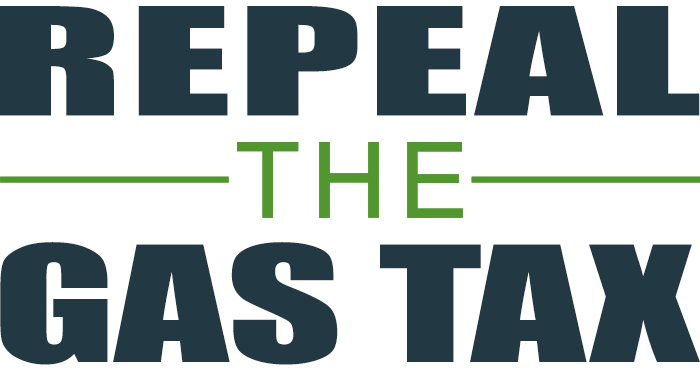 Plan to vote YES in 2018 to repeal the unnecessary and corrupt gas tax hike and DMV fee hike. There’s a serious effort to qualify a ballot initiative and it need your support. 2. Be careful how you vote for candidates. This year, 80 Democrats (out of 81 possible) + 1 Republican (Anthony Cannella of the Modesto area) voted to jack up your gas taxes and DMV fees. Do you want this bad behavior to continue or stop? Did you cause California’s wildfires? Should your monthly bill go up? In the aftermath of the 2017 wildfires, will California government add misery upon misery? The “Big 3” public utilities in California are basically admitting substandard power lines and equipment caused at least some of this year’s destructive wildfires, including October’s large fires in California’s Wine Country, which destroyed an estimated 3,500 plus structures and killed at least 41 people. Right now, attorneys and lobbyists for Pacific Gas & Electric, Southern California Edison, and San Diego Gas & Electric are vigorously lobbying the California Public Utilities Commission to try to raise your gas and electric rates for THEIR problem. The injustice of this (Creator God commands in Exodus 20 “Do not steal” and “Do not covet…anything that is your neighbor’s”) puts SaveCalifornia.com in strong agreement with a San Francisco-based consumer group. But consumer groups say the push by PG&E and the state’s other two large utilities — Southern California Edison and San Diego Gas & Electric — is out of line. If the PUC allows utilities to pass along most of their uninsured wildfire costs to ratepayers in the form of higher monthly bills, critics say, they will have less incentive to properly maintain wires, trim back trees and take other sometimes costly measures needed to reduce wildfire risk. 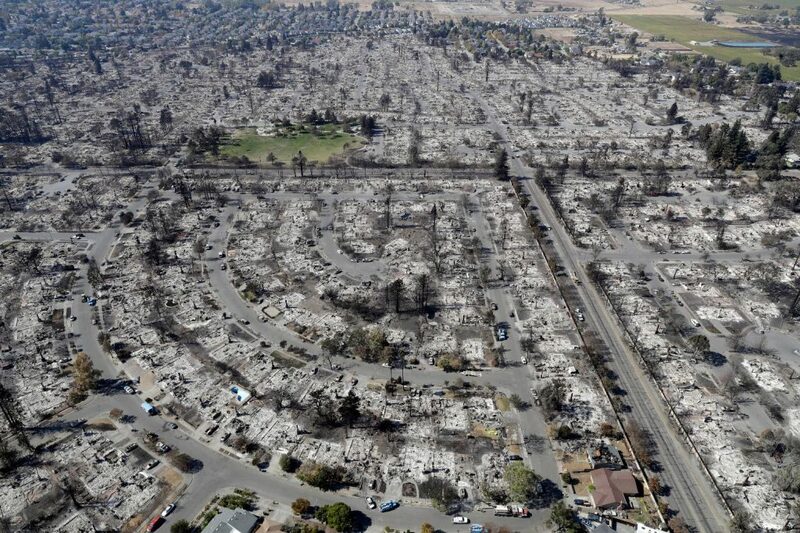 “PG&E and the other utilities are very vigorously lobbying to see that the costs of disasters be covered by ratepayers, even when they are found negligent,” said Mark Toney, executive director of The Utility Reform Network, a San Francisco consumer group. Posted in Democrats, Good Government, Morality, SaveCalifornia.com, Taxes | Comments Off on Did you cause California’s wildfires? Should your monthly bill go up?